Speed Reading for GRE Reading Comprehension? The GRE is timed. So when it comes to Reading Comprehension, you might worry that reading speed is being tested, too. Speed does matter. But you don’t need to be a speed reader to excel at GRE Reading Comp. So how fast do you need to read? First, think about the pace, in minutes-per-question, that you need to maintain in GRE Verbal. Your Verbal score will be based on two sets of 20 question, and you get 30 minutes per set. So a good pace will average out to 1.5 minutes per question, with a range of around 30 seconds to 2.5 minutes. Now, consider that roughly half of the Verbal questions will be based on Reading Comprehension passages. You’ll get about 10 passages on the exam, typically 5 passages in each 20 question set, where a passage can be as short as 50 words (about the length of this post’s opening paragraph) or as long as 450 words (about the length of this entire post). The vast majority will be in the ballpark of 100 to 200 words and will come with 1 to 3 questions. Say you get a 200-word passage with 3 questions, and you read 200 words-per-minutes (wpm). Reading at that rate still allows you to spend a little more than1 minute on each question (revisiting the passage as needed) without straying from an overall pace of 1.5 minutes per question. Here’s the kicker: 200 wpm is actually on the slow side. The average reading speed in the US is around 250 to 300 wpm. What about the longer passages? Suppose you get a 450-word passage with 4 questions (since a set of 4 is what accompanies passages that long in the official practice tests.) Reading the passage at 200 wpm, you could spend a little less than 1 minute on each question while still keeping a solid pace overall. Odds are that your reading speed is faster than 200 wpm, though. After, all the average is, again, around 250 to 300 wpm in the general population. Among college students, the average is about 450 wpm, far short of the 1,000+ wpm typical of bonafide speed readers. So even if you’re just an ordinary undergraduate, you can probably read even the longest GRE Reading Comp passage in about 1 minute. To ensure that roughly 1 minute per passage and per question will be enough for you to give confident, accurate responses, you just need to get to know GRE Reading Comprehension. Familiarize yourself with the types of questions you’ll be asked, and learn to recognize common passage components, such as arguments. 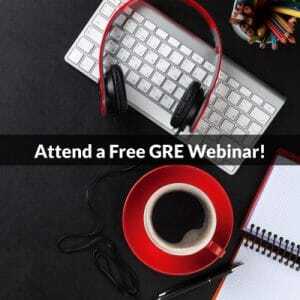 Get comfortable with how the GRE tests reading comprehesion and you’ll find that an average reading speed can be good enough for an above average performance. 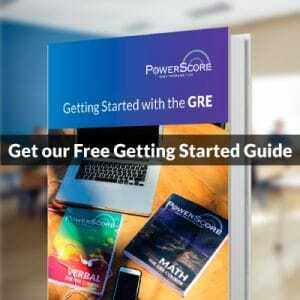 You may also want visit the new PowerScore GRE Forum, where you ‘ll find correct answers and explanations for every Verbal (and Quantitative) question in Powerprep, the official computer-based practice tests from ETS, maker of the GRE.